Lease for $50/week with $50/down! Or finance as low as 0% APR for 60 months! 0% APR Financing For well-qualified buyers. Subject to residency restrictions. Customer may choose either APR or cash-back-only option. Financing is subject to NMAC Tier 1 through Tier 2 credit approval. $16.67 (60 months) per month per $1000 financed. $20.83 (48 months) per month per $1000 financed. $27.78 (36 months) per month per $1000 financed. No security deposit required. Cash back when you purchase from new dealer stock. The delayed payment must begin exactly 90 days from the date of the contract. Accrual of interest commences from date of contract and consumer is responsible for payment of accrued interest. Delayed payments are only allowed in Pennsylvania if the APR is 0%. Subject to residency restrictions. Varies by Nissan region. See participating dealer for details. Dealer participation may vary. Offers end 04/30/2019. Lease for $50/week with $50/down! Or finance for as low as 0% APR for 60 months! 0% APR for well-qualified buyers. Subject to residency restrictions. Customer may choose (a) special APR plus NMAC Cash (b) standard APR through NMAC with NMAC cash plus customer cash, or (c) customer cash. Financing is subject to NMAC Tier 1 through Tier 2 credit approval. $16.67 per month per $1,000 financed at 0.0% for 60 months, NMAC cash available when you finance through NMAC and is subject to credit approval. $16.67 (60 months) per month per $1000 financed. $20.83 (48 months) per month per $1000 financed. $27.78 (36 months) per month per $1000 financed. Cash back when you purchase from new dealer stock. The delayed payment must begin exactly 90 days from the date of the contract. Accrual of interest commences from date of contract and consumer is responsible for payment of accrued interest. No security deposit required. Delayed payments are only allowed in Pennsylvania if the APR is 0%. See dealer for details. Dealer participation may vary. Offers end 04/30/2019. Lease for $269 per month with $999 down! Wheel & Tire Protection Package Included! Or finance for as low as 0% APR for 36 months! 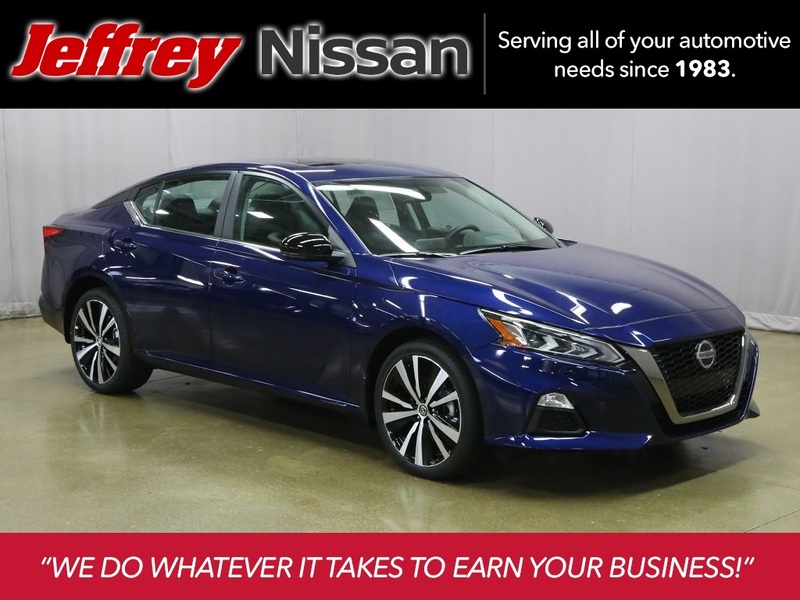 2019 Nissan Altima 2.5 SR AWD. Model # 13219. VIN 1N4BL4CW0KN302424. $269 per month plus tax for 36 months. Two or more units available at this price of $27,764. 12,000 mile per year closed end lease. Price includes destination and handling. $999 down plus tax, first months payment, licensing fee, acquisition fee & documentary fee. All applicable rebates and incentives to dealer. No security deposit. Must qualify for Tier 1 approval with NMAC. Employee pricing offer expires at months end for customers who live in the Detroit/Flint area. Discount in addition to current national and regional incentives and or special financing. See dealer for additional requirements. Employee pricing is a VPP program. 0% APR for well-qualified buyers. Subject to residency restrictions. Customer may choose (a) special APR plus NMAC Cash (b) standard APR through NMAC with customer cash, or (c) customer cash. Financing is subject to NMAC Tier 1 through Tier 2 credit approval. $27.78 per month per $1,000 financed at 0.0% for 36 months, NMAC cash available when you finance through NMAC and is subject to credit approval. $16.67 (60 months) per month per $1000 financed. $20.83 (48 months) per month per $1000 financed. $27.78 (36 months) per month per $1000 financed. Cash back when you purchase from new dealer stock. The delayed payment must begin exactly 90 days from the date of the contract. Accrual of interest commences from date of contract and consumer is responsible for payment of accrued interest. No security deposit required. Delayed payments are only allowed in Pennsylvania if the APR is 0%. See dealer for details. Dealer participation may vary. Offers end 04/30/2019. Lease for $310 per month with $999 down! 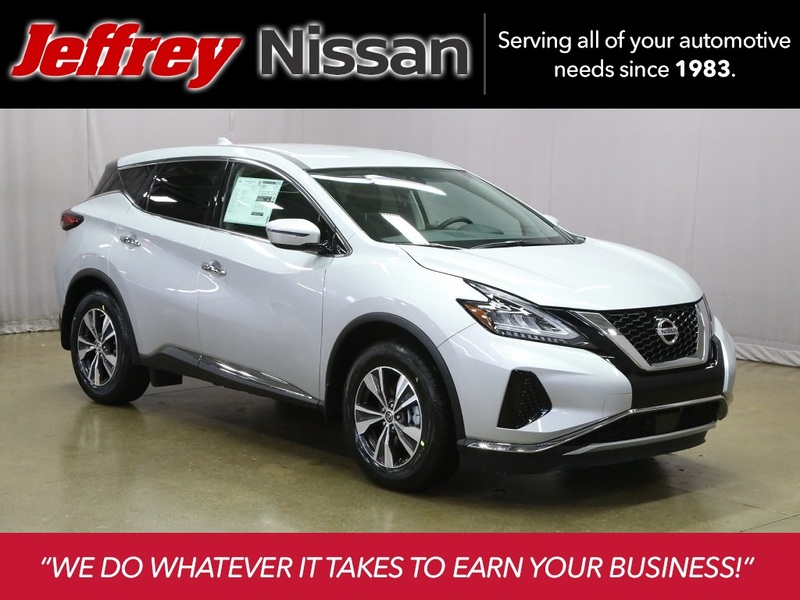 2019 Nissan Murano S AWD. Model #23019. VIN 5N1AZ2MS9KN125436. $310 per month plus tax for 36 months. Two or more units available at this price of $33,207. 12,000 mile per year closed end lease. Price includes destination and handling. $999 down plus tax, first months payment, licensing fee, acquisition fee & documentary fee. All applicable rebates and incentives to dealer. No security deposit. Must qualify for Tier 1 approval with NMAC. Employee pricing offer expires at months end for customers who live in the Detroit/Flint area. Discount in addition to current national and regional incentives and or special financing. See dealer for additional requirements. Employee pricing is a VPP program. 0% APR financing for well-qualified buyers. Subject to residency restrictions. Customer may choose (a) special APR plus NMAC Cash (b) standard APR through NMAC with customer cash, or (c) customer cash. Financing is subject to NMAC Tier 1 through Tier 2 credit approval. $27.78 per month per $1,000 financed at 0.0% for 36 months, NMAC cash available when you finance through NMAC and is subject to credit approval. $16.67 (60 months) per month per $1000 financed. $20.83 (48 months) per month per $1000 financed. $27.78 (36 months) per month per $1000 financed. Cash back when you purchase from new dealer stock. The delayed payment must begin exactly 90 days from the date of the contract. Accrual of interest commences from date of contract and consumer is responsible for payment of accrued interest. No security deposit required. Delayed payments are only allowed in Pennsylvania if the APR is 0%. See dealer for details. Dealer participation may vary. Offers end 04/30/2019. Lease for $335 per month with $999 down! Wheel & Tire Protection Package Included! Or finance for as low as 0% APR for 60 months! 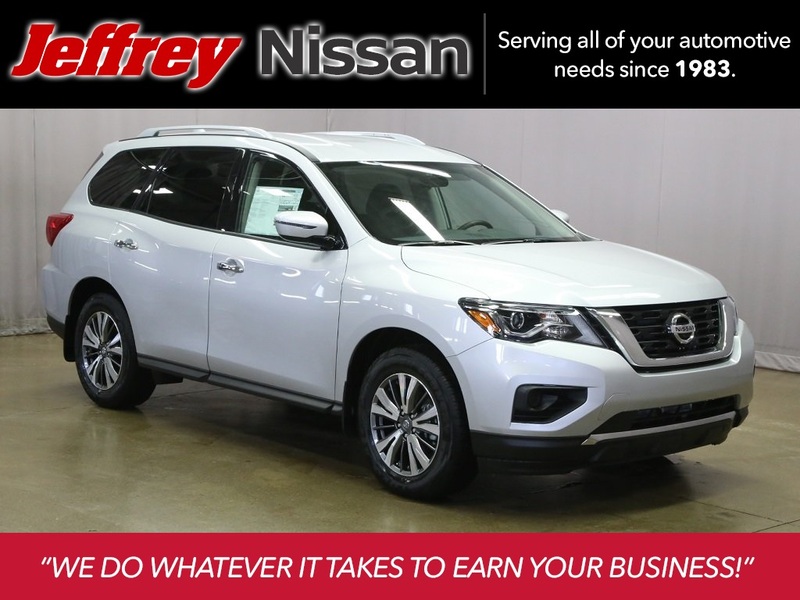 2019 Nissan Pathfinder S 4wd. Model # 25019. VIN 5N1DR2MM4KC583587. $335 per month plus tax for 36 months. Two or more units available at this price of $32,757. 12,000 mile per year closed end lease. Price includes destination and handling. $999 down plus tax, first months payment, licensing fee, acquisition fee & documentary fee. All applicable rebates and incentives to dealer. No security deposit. Must qualify for Tier 1 approval with NMAC. Employee pricing offer expires at months end for customers who live in the Detroit/Flint area. Discount in addition to current national and regional incentives and or special financing. See dealer for additional requirements. Employee pricing is a VPP program. 0% APR or well-qualified buyers. Subject to residency restrictions. Customer may choose (a) special APR plus NMAC Cash (b) standard APR through NMAC with customer cash, or (c) customer cash. Financing is subject to NMAC Tier 1 credit approval. 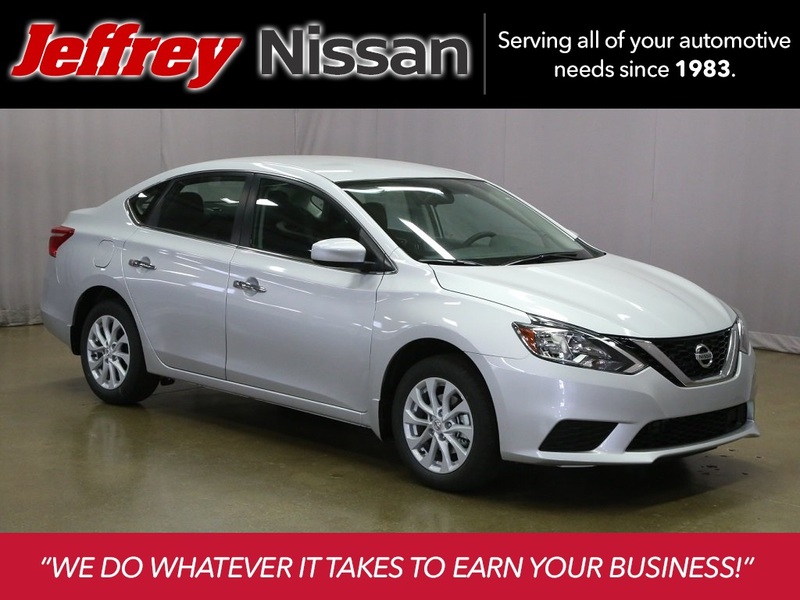 $16.67 per month per $1,000 financed at 0.0% for 60 months, on all new above-noted vehicles in dealer stock. NMAC cash available when you finance through NMAC and is subject to credit approval. $16.67 (60 months) per month per $1000 financed. $20.83 (48 months) per month per $1000 financed. $27.78 (36 months) per month per $1000 financed. 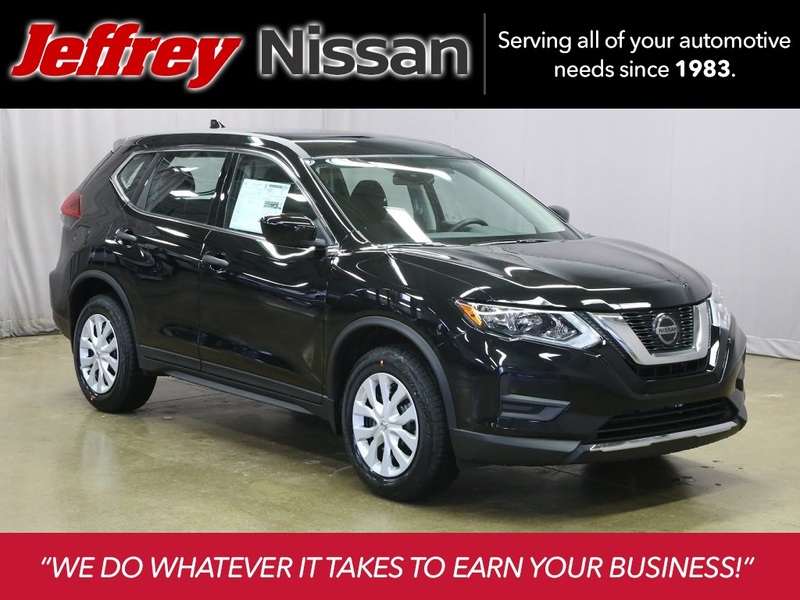 Cash back when you purchase from new dealer stock. The delayed payment must begin exactly 90 days from the date of the contract. Accrual of interest commences from date of contract and consumer is responsible for payment of accrued interest. No security deposit required. Delayed payments are only allowed in Pennsylvania if the APR is 0%. See dealer for details. Dealer participation may vary. Offers end 04/30/2019.